We have had a very good day at Purston Manor Novice Regional Finals, where very happily all three horses qualified for the Novice Championships. 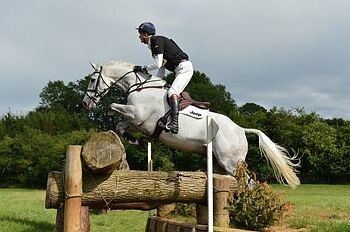 This was their only chance to qualify for Gatcombe, because all the other Regional Finals either clashed with three day events, or were far afield regions of the country. The pressure was on because not only is Gatcombe a very good experience for novice horses, it is also a favourite with many Owners. Reinstated won his section on his dressage score of 26.8, there was a little room for improvement in the dressage not having been out since Tattersalls, but he jumped faultlessly to finish on his dressage score. Dynasty was second place just behind him, on his dressage score of 27.1. He was unlucky to get the only rain storm of the day which caused a loss of concentration, but then his jumping and cross country was excellent, adding nothing to his dressage score. Their section was very tight and only the first six qualified, so I was more than relieved that they went so well. The Soapdodger won his Regional Final section on his leading dressage score of 27.1, and I was delighted with him in all phases. 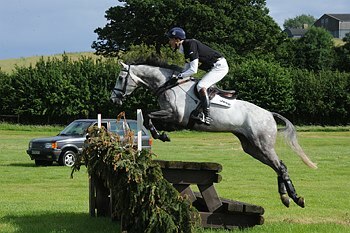 He and Reinstated now head for their first 2* CIC at Barbury. The Purston team did a particularly good job with the going, given the incredibly dry spell we have been having, and I was very relieved to see how good the ground was on the cross country. It is very sad to hear today that this is Ann Allen and Jill Lamont's last Purston, and everyone will be hoping that we don't lose Purston from the BE calendar.